Bardens Estates is a Tunbridge Wells based estate agent offering Sales, Lettings and Property Management. Customers benefit from our extensive property experience, whether they’re selling, letting, buying or renting. We are proud of our customer service and competitive fees. We believe that the fees charged by traditional high street estate agents are much too high, so we offer our customers a great service at competitive internet prices. Whatever option you choose we include photos, floor plans, Energy Performance Certificate, optional For Sale Board, a full marketing package using Rightmove and Zoopla, and a dedicated local sales agent to guide you through the selling process. If you are a landlord or tenant you will experience a very different approach from the team at Bardens. We DO NOT CHARGE TENANT FEES! This is obviously great news for our tenants, often saving them many hundreds of pounds at the start of a new tenancy. It also gives our landlords a huge competitive advantage when we market their properties. 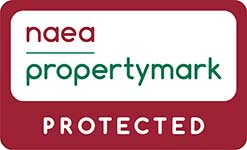 Bardens is a licensed member of the National Association of Estate Agents (NAEA) and the Association of Residential Letting Agents (ARLA), which means that you can be assured that we are a professional agent and that we can give you up-to-date advice and guidance. We are also members of the Property Ombudsman scheme regulated by the Office Fair Trading, so you can be confident that you will receive a professional service from us. Why not contact us today to find out more or to arrange a free no-obligation valuation?